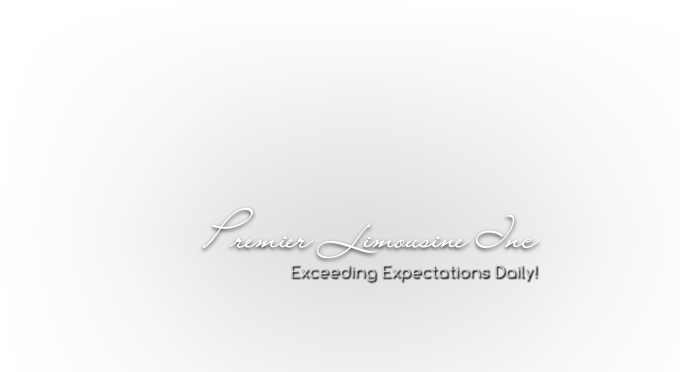 Premier Limousine Incorporated was founded on the standard of exceeding the expectations of our clients. Attaining this goal is accomplished by maintaining the high level of standards established by the owners, unparalleled customer service provided by our professional and friendly staff. Personal and knowledgeable reservation specialists on call twenty-four hours a day every day of the year. Personally trained, safe, courteous chauffeurs. The highest quality current-model luxury vehicles meticululosly maintained. Web based E-Reservation center to Create, View and Modify personal travel profiles. In Car, Real time Airport and Traffic information systems to provide operators with immediate and up to date service information. The finest on-the-go amenities during travel including Newspapers, magazines, snacks and beverage service. We look forward to serving you! Whether a long time client or a new guest. We welcome the challenge of changing the way you view transportation service.